Before pruning - Not so fast. Unless its branches are in your way, or the plant reaches the heights you see in the picture, and has no strong stable stem to lean on, I see no reason for pruning rosemary - that beautiful ornamental shrub. Unless of course the cuttings are going straight to the kitchen and being used for dinner. 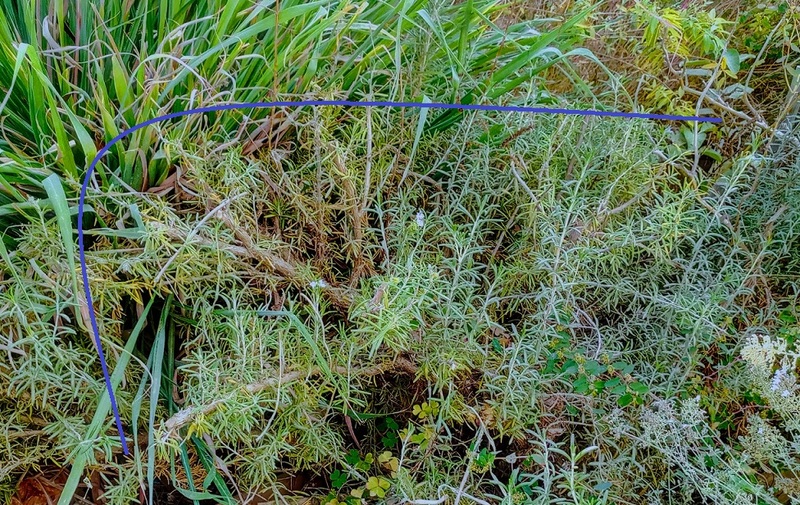 Daily pruning for cooking purposes is fine – it is after all the life purpose of Rosemary, What I want to explain is the what, how and when of pruning for growth. Rosemary can handle both gentle and hard pruning methods easily, and she (yes, I think of Rosemary as a girl J )will respond well in both cases. So don't be afraid to prune hard if needed, and I’ll show you how in just a moment. When? 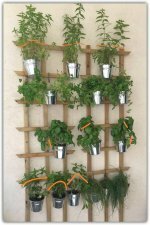 - Trimming short stems for your everyday use can be done throughout the year (mid-spring until mid-fall). Hard pruning, the way I did, can be done only from early spring until early-fall. Why? Because if you let your Rosemary grow and grow without pruning her, she will lose energy. At some point she will stop growing new leaves, and the main stem will lose its strength and ability to support the height and weight of the plant. What you want, is for your Rosemary to develop new "super green" leaves and build a strong stable stem. 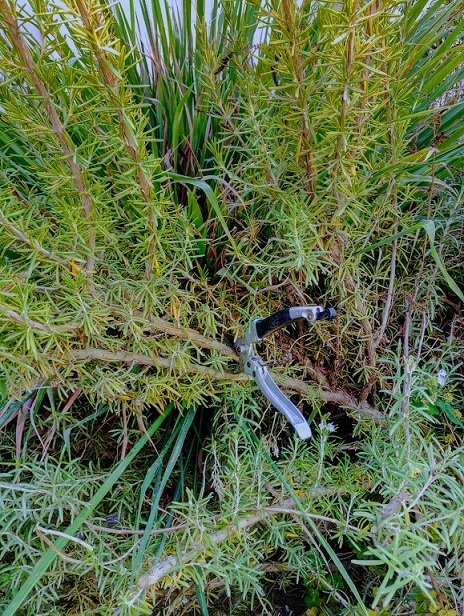 Where - I felt O.K about sticking my pruners inside the stem because I wanted to show you the exact spot I was choosing to prune, as well as the average height I plan for my Rosemary bush. In the next few weeks new leaves and future stems will grow beneath that point. New "super green" stems will develop the specific stem will slowly become thicker. After the big cut - As you can see, the blue line shows the new height of the Rosemary. 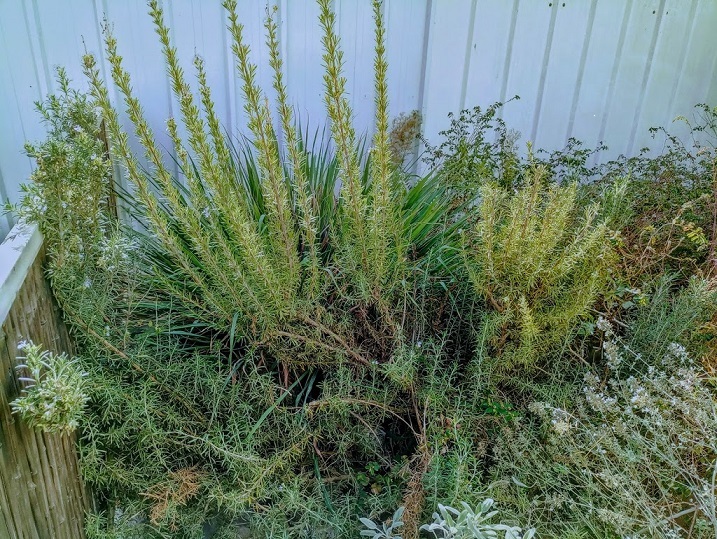 After some fairly hard pruning, the plant’s capacity had changed, there are less branches, and less weight on the main stem, but my Rosemary is well on her way to becoming queen of the herb garden!! My preferred pruning shears - For this specific job, I used heavy duty hand pruners. Rosemary has those tough woody stems (see where I stuck my pruners in) and will require a tool that can handle it.